Product reviews software, or customer feedback software, allows e-commerce businesses to host reviews of products on their websites for the purpose of improving the e-commerce business experience. The software helps the merchant measure and improve customer satisfaction, identify unhappy customers, and get valuable insight from the buyers themselves. Product reviews software helps e-commerce websites engage with their consumers, understand customer behavior, and improve their product or service based on authentic feedback. Unlike Online Reputation Management software, of which there is confusion but no crossover with Product Reviews software, the latter software provides little monitoring or managing of reviews. Product reviews software integrates with e-commerce platforms and works alongside email marketing software and social networks. Product Reviews reviews by real, verified users. Find unbiased ratings on user satisfaction, features, and price based on the most reviews available anywhere. Bazaarvoice connects brands and retailers to consumers, so that every shopping experience feels personal. From search and discovery to purchase and advocacy, Bazaarvoice’s solutions reach in-market shoppers, personalize their experiences and give them the confidence to buy. Each month in the Bazaarvoice Network—the world’s largest shopper network—more than 900 million consumers view and share authentic content including reviews, questions and answers and social photos across 6,000 brand and retail websites. Across the network, Bazaarvoice captures billions of shopper signals monthly—data that powers high-efficiency digital advertising and personalization with unmatched relevance. Founded in 2005, Bazaarvoice is headquartered in Austin, Texas with offices in North America, Europe and Australia. We help manufacturer brands monitor key e-commerce data on Amazon, Walmart, and other major retail sites. Our software will track the following information daily on a per SKU level: * Product reviews on Amazon and most other major retail sites * User questions on Amazon and most other major retail sites * Buy box (merchant, availability), 3P prices, and sales rank * Product content (title, images, bullet features, A+ status) * Search rank position Once signed up, you'll be able to access the raw data and also get timely notifications. Key features include: * Email alerts for new reviews and questions with ability to filter reviews by stars for the entire team * Ability to set MAP prices and get alerts when prices are violated * Ability to export all data (reviews, questions, prices, search) Contact us for a demo to learn more and start your free trial! ResellerRatings is an integrated customer review management platform that helps you connect, understand, and build trust with customers throughout their journey. In one integrated toolset, ResellerRatings Reviews Suite gives powerful capabilities that automate your review collection process, syndicate user-generated content (UGC) through the world’s largest search channels and analyze customer sentiment to provide a unified view of the customer. A tool for Amazon sellers to automate communication with their buyers. Proactively email buyers to ensure a smooth experience, ask for feedback, monitor negative reviews, and more. Authentic Experiences We’re on a mission to empower brands to capture their customer’s voice through user generated content. With TrustSpot’s innovative approach to Content Marketing, Referrals and Loyalty, brands are able to accelerate their growth and increase customer lifetime value. 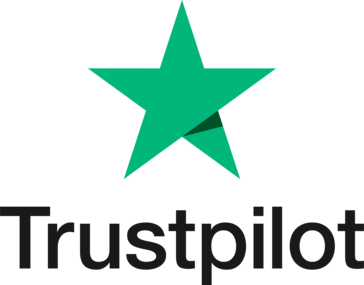 Since authenticity & social proof are the pillars of consumer trust online, TrustSpot provides brands with a comprehensive solution to capture ratings & reviews, video testimonials, photos, social experiences, product Q&A and more. Each month, more than 60 million consumers in 98 countries view and interact with a piece of content generated by TrustSpot. With seamless integrations into over a dozen of the leading eCommerce platforms, we’re making it easy for brands to get started collecting user generated content. 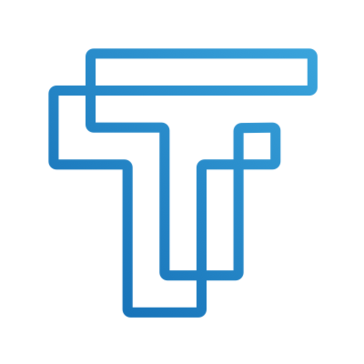 TrustSpot is headquartered in Orlando, FL and was founded by Ryan Haidinger and Larry VanDenHandel. eKomi, The Feedback Company is the only Goldman Sachs-backed independent provider of transaction-based reviews & ratings. As a Google worldwide partner, eKomi has gathered & published over 50,000,000 reviews for customers using its groundbreaking social commerce technology. eKomi generates seller ratings, customer reviews, product reviews & social recommendations, to create viral effects on websites, social media, and search engines which allow for a successful revenue generating impact for businesses. All reviews are checked via algorithm and manually before getting published on our clients' Trust Pages, and on Google, Bing, Yahoo, and Facebook. We have developed the most varied and innovative review generation methods which allow our clients to request feedback from any and all of their clients, a fact which is reflected in our high response rates. We collect more and better reviews than any other company in the business, which is why working with eKomi represents the best return on your investment. FeedbackFive, the inventor of automated feedback management for Amazon merchants, gives sellers the power to proactively manage their feedback scores and product reviews. 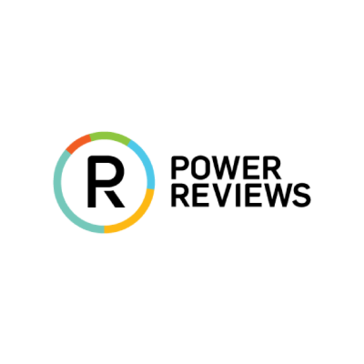 Developed by eComEngine, LLC, FeedbackFive helps merchants to automatically solicit feedback and product reviews from customers, review negative and neutral feedbacks and product reviews received, monitor trends, and more. FeedbackFive is a proven Amazon feedback and product review software, trusted by merchants worldwide since 2007. Available on many Amazon marketplaces. Amazon.com, co.uk, .de, .fr, .es, .com.au, .in, .mx, .ca, .it For a Free Trial, visit www.feedbackfive.com. GetApp is a platform to review, evaluate, and compare business software. We use client's reviews to get them stars in Google search results. We can aggregate reviews from anywhere and use them so that client's webpages get stars in Google search results. Google search results with stars get more clicks. We have integrations with Google My Business, Google+, Twitter and Facebook so that when a good review is received it can be posted about on social media. Product review monitoring, management and big data analytics, helping today's biggest brands listen to their customers and improve products. Our focus is to automate customer feedback/reviews research, analytics and provide intelligent answers to the most important questions around product performance. VOIPReview is a network monitoring software that helps your business ensure your VOIP system works functionally and efficiently. Morevago allows you to get referrals from your website with Sticky Reviews! Starfish Reviews is a WordPress plugin that helps business owners and marketers get more positive reviews for their business or client's businesses. Starfish helps encourage positive reviews while capturing negative ones for internal review and improvement. You can gain more reviews on Google, Facebook, Yelp, Trustpilot, G2 Crowd, Amazon, iTunes, and many more! Try out the free edition on WordPress.org or purchase one of our plans with a 14-day 100% money-back guarantee. If you use WordPress and need more online reviews, Starfish Reviews is for you! TargetMyTravel allows travelers to review airlines and airports around the world. amz Review Fetch is a review management software that allows the users to receive daily emails with new reviews, handle negative reviews quickly, manage reviews and download reviews to a spreadsheet. Antenna is a customer engagement software makes possible to kNow what people think about the products and content on the web. Artifacia is an AI-based enterprise visual marketing platform that helps brands market and sell by using real customer photos and videos. Solutions for user generated content marketing. brainer is an-easy-to-use app that empowers companies to increase the number of online customer reviews as well as enhance the quality of their online reviews. Our user-friendly tool sends a simple text message requesting a business review when customers are at the peak of their satisfaction-- directly after receiving service. We use this to your advantage, as brainer sends a simple text message such as, ‘Were you satisfied with the service provided by [insert your business name]?’ If the customer selected 'yes,' brainer delivers them to a one of the review platforms of their choice. If the answer is ‘no,' the review is sent to you as a feedback, giving you a chance to provide additional customer service and leave each customer completely satisfied. Simply put, brainer delivers positive reviews to your business which helps solidify your online reputation. With brainer, get business discovery with the power of online reviews. Channel Signal is a tool that allows brands and manufacturers to collect and aggregate those reviews from any site on the web, allows a brand to analyze the sentiment and text of its reviews in order to identify trends and actionable insights. Conversio - formerly Receiptful - is an all-in-one marketing dashboard that enables eCommerce store owners, marketing consultants, and software developers to engage and build long-term relationships with customers. The marketing dashboard allows entrepreneurs to integrate multiple applications and manage all marketing activities through a single interface. Conversio offers a wide range of features including receipts, abandoned carts, follow-ups, newsletters, recommendations, and reviews. The software enables organizations to create different receipt types as well as provides default templates that can be customized to add text, images, discount coupons, and logos. Receipts created and sent with Conversio are also optimized for mobile viewing. EmbedReviews is a platform for managing Facebook Reviews. It allows you to generate and display Facebook reviews on any website. It can get all the Facebook reviewers and setup an autoresponder that can automatically reply to every review with a text, link or an image. The Feedback Company lets you gather feedback and turns reviews and customer ratings in an advertisement for your business or shop. Centralized social media reviews and live customer feedback. Pull powerful statistics and reports for your business on a brand or store level, allowing you to easily compare and identify stores strengths and weaknesses based on customer feedback. GoReview in-store customer feedback tool give customers access to your uniquely branded mobi site where they can leave positive or negative ratings. Negative ratings will be kept offline and managers are immediately notified via sms and email. InsideWarehouse brings e-commerce into content. From now visitors can discover—and buy relevant products without ever leaving your content site. iTrust Digital Marketing offers you a unique set of on-line tools to help better understand your business performance, communicate with and get feedback from genuine consumers in a data secure environment, while growing revenues and sales. KiyOh collects customer ratings and reviews and publishes them on behalf of their clients. The Simplest Social Review Automation Tool Ever. Lipscore is one of the most effective ratings and review plugins in the world. On average more than 20% of end customers across all sectors and all countries leave a rating and/or review using our software. In addition we enable you to act on the feedback given through carefully tailored features like the Support Trigger to make sure that you grab every opportunity to make each customer a returning customer. We make it simple for your clients to leave item evaluations after an acquisition. Quick, automated, and also simply exactly what your company should construct customer count on and also increase sales. Real-world user experience and functional testing of digital products with public and private crowds. Hi there! Can I help you find the best Product Reviews solutions?